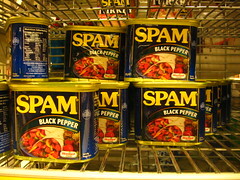 Low-quality, spam links can now get you de-indexed, or at the very least significantly lower your PageRank. Companies are desperately trying to remove low-quality links before they’re penalized for them. Penguin has introduced another problem, however, that’s much more sinister. While black hats used to offer lots of backlinks to your site for a price, now they can offer lots of backlinks to your competitor’s site. Instead of using backlinks to boost your PageRank, they can now use it to hurt or eliminate the PageRank of your competitors. There have only been a handful of high-profile examples of backlink spam being used to hurt someone. Most notably, blogger and SEO expert Dan Thies was targeted by black hats after complimenting Google for its efforts to cut down on backlink spam. Members of the black hat community want to show him how destructive the change he was supporting could be, and they created thousands of low-quality backlinks to his website, which resulted in a significant drop in PageRank. Poor Dan Thies was a victim of a backlink attack, and the scary thing is that it could happen to anyone. Most people aren’t ever going to be targeted in this way by malicious competitors, but it’s impossible to say what businesses are above underhanded attacks and which aren’t. You should take steps to protect your brand as soon as possible. The first thing to do is evaluate your own SEO tactics. If you’re using black hat, stop now, and try to fix any damage you may have already done to yourself by spamming links. You can either request they be taken down, or you can use Google Webmaster Tools to tell Google which links they should disregard when ranking your site. If a competitor does wage an attack against you, you don’t want to give them a head start. Google Webmaster Tools will be essential for protecting your brand. You should already be using it, but if you’re not, sign up now. It has a lot of great functions and analytics, and you can use it to see and monitor your backlinks, including any new links as they’re created. Google will also help you monitor your brand, and it will notify you in a message via Webmaster Tools if it thinks any of your links are suspicious, giving you a chance to remedy the problem before being penalized. This will give you the best chance to stop and survive a backlink attack in the event a competitor targets you. Using Webmaster Tools and legitimate, white hat SEO tactics, you should be able to maintain your PageRank, even if you’re the victim of a negative SEO campaign. As long as you continue to offer your website users a high-quality experience and excellent service on your website, it will be more difficult for a jealous competitor to hurt your brand. This article on the best methods of protection from black hat SEO marketing and the potential fallout for your brand or company was prepared by Mey Lau and the keyword strategy experts of SEOMap.